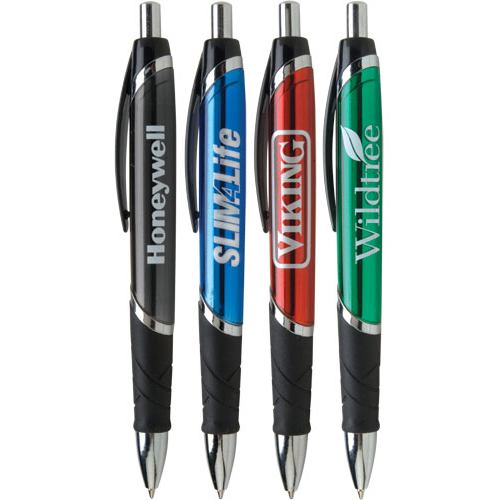 Dakota Pen is a stylish affordable pen with Black ink.Features translucent metallic colors and chrome accents. With its comfortable embossed rubber grip the Dakota Pen makes writing a smooth and easy job. Colors Available: Green, Blue, Red and Black. Recommended Imprint Colors: White and Silver.